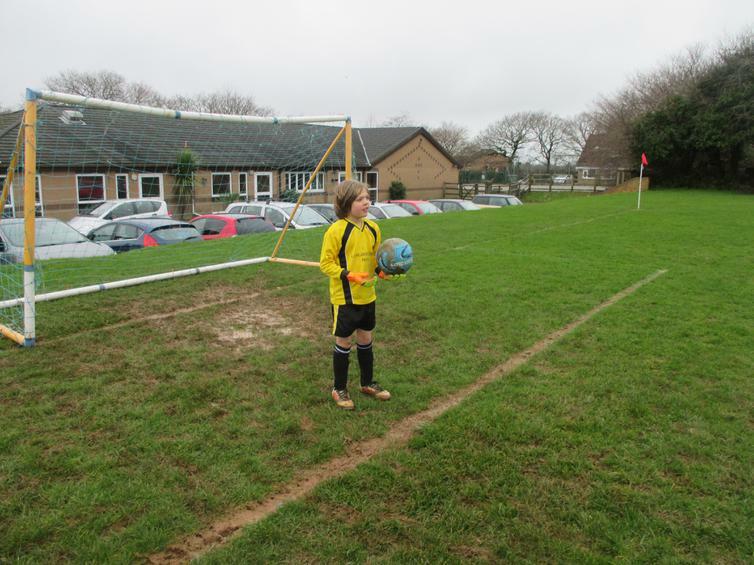 Rain, rain go away, we've got football to play! 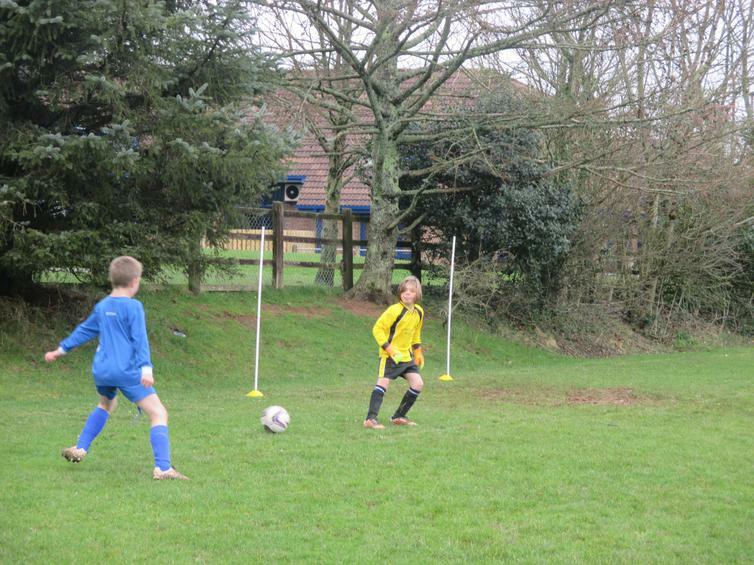 A break in the rain meant the game was on yesterday. 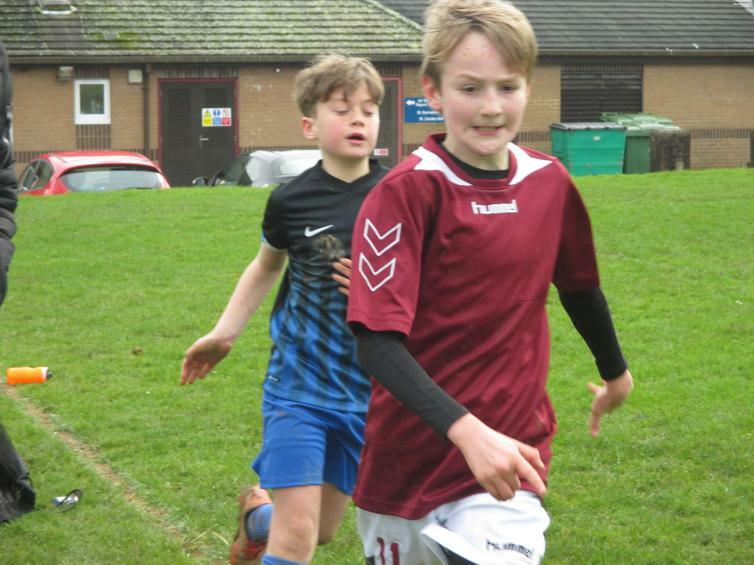 Two of our Wembury teams this time travelled across Pymouth to Bickleigh Down primary school in a bid to enable even more of our young sporting stars to participate in team events. 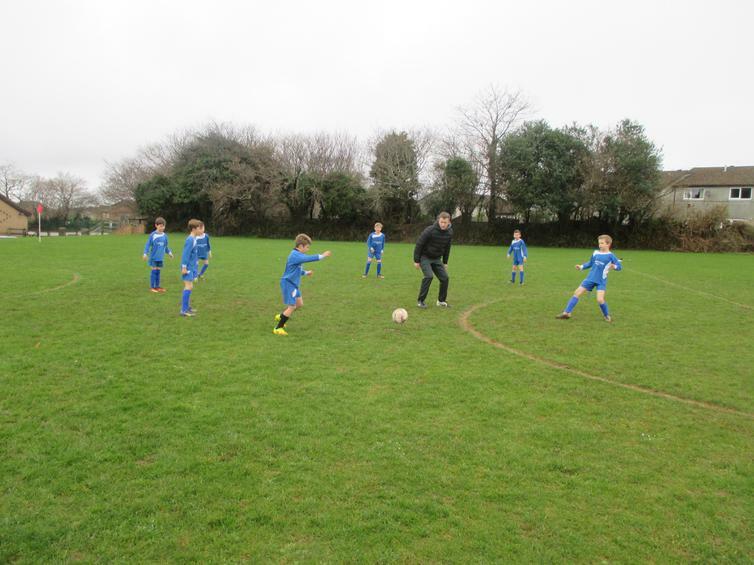 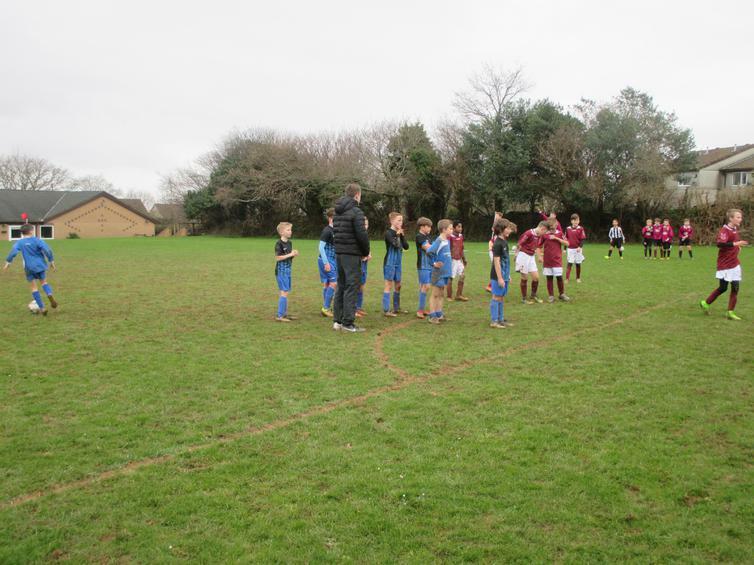 Our teams were made up of a year 5&6 team and a year 4&5 team and this would be the first time our year 4's had the opportunity to play in a school team against another school. 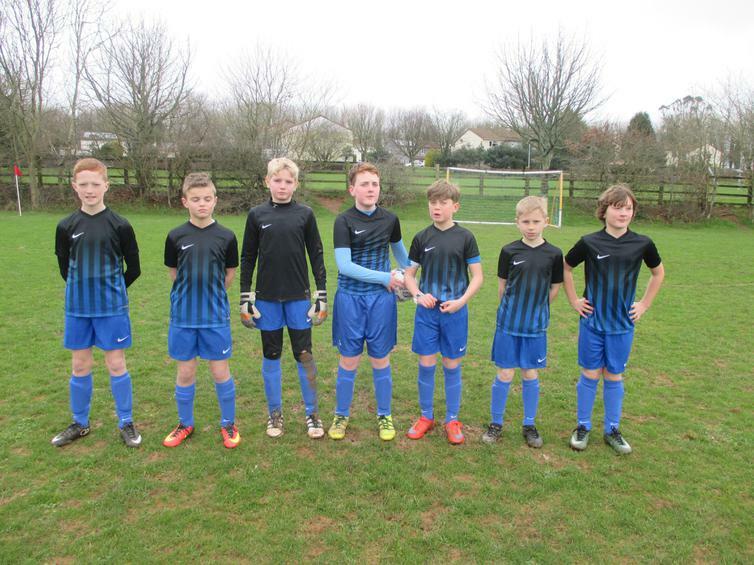 There was much excitement beforehand due to the timely arrival of our new team kit provided by the FROWS 5 minutes before we left, a huge thank you to them for this! 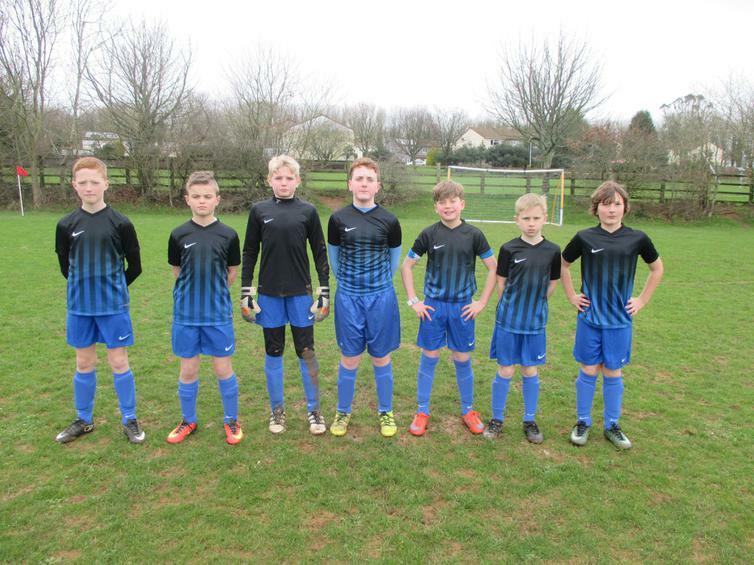 Official pictures when all printing is complete will follow but for now our boys were desperate to get into it and play the first team match in our official team kit and didn't they look smart. 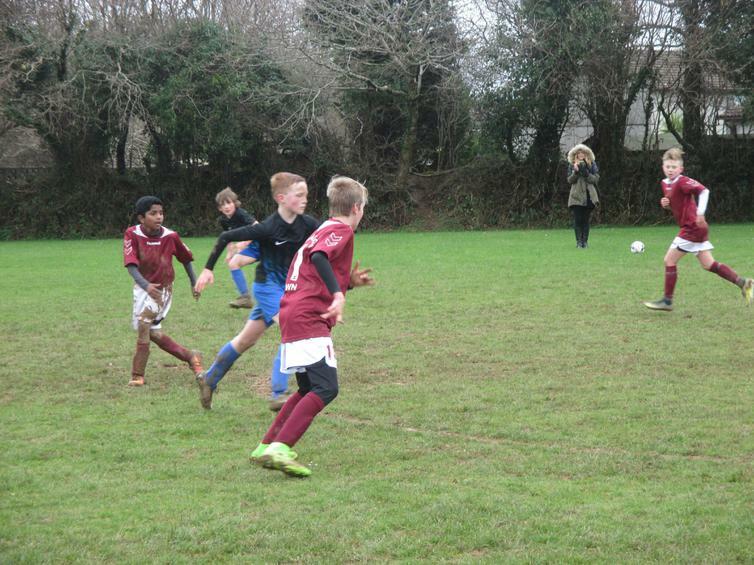 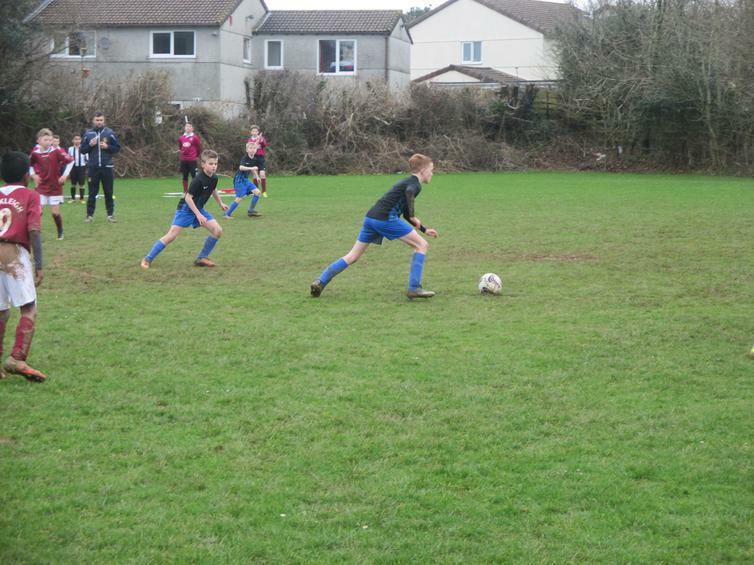 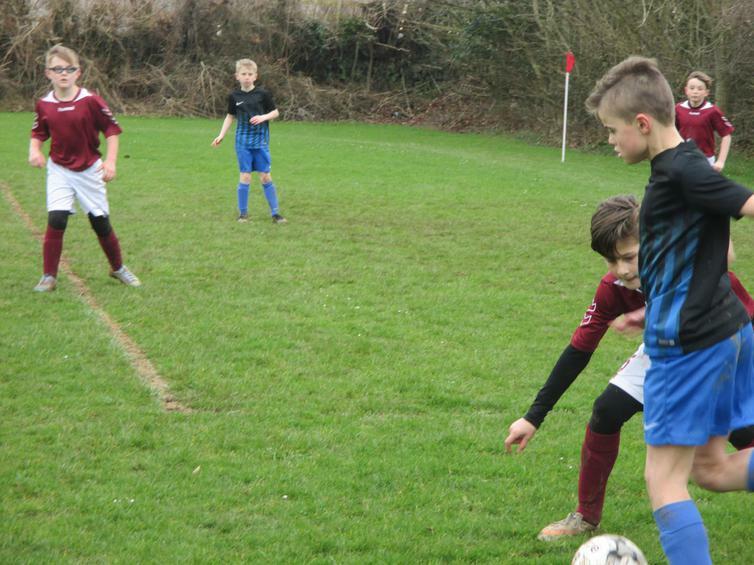 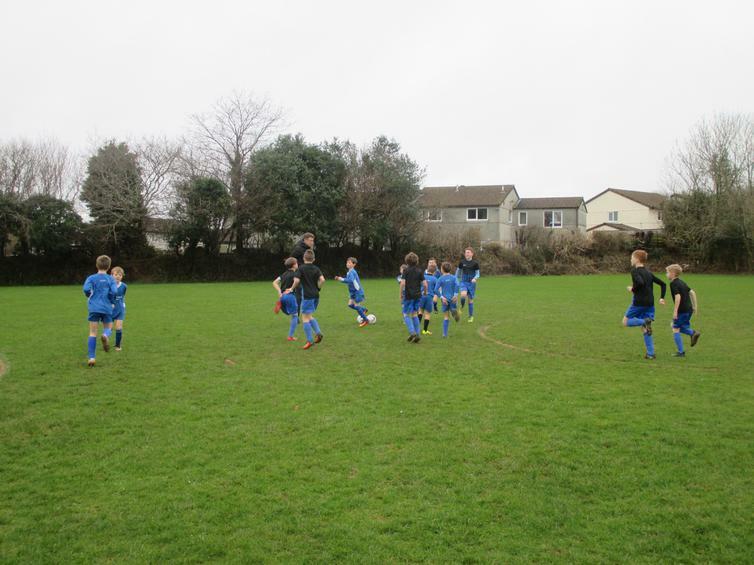 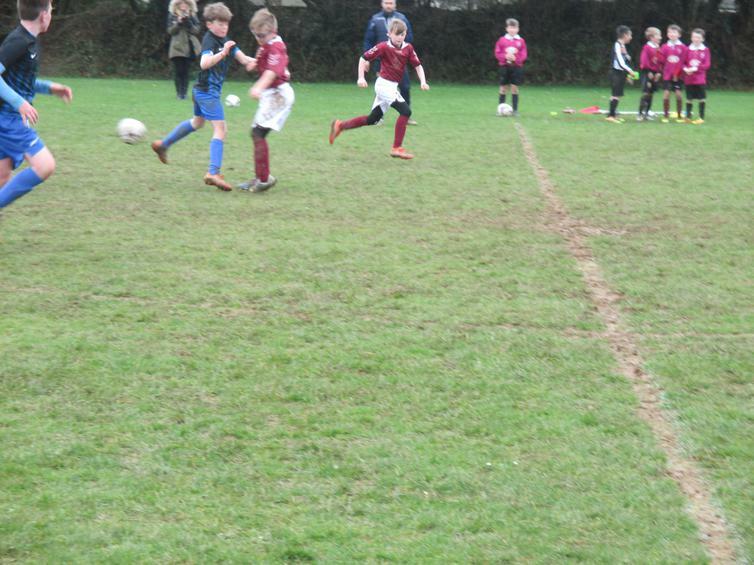 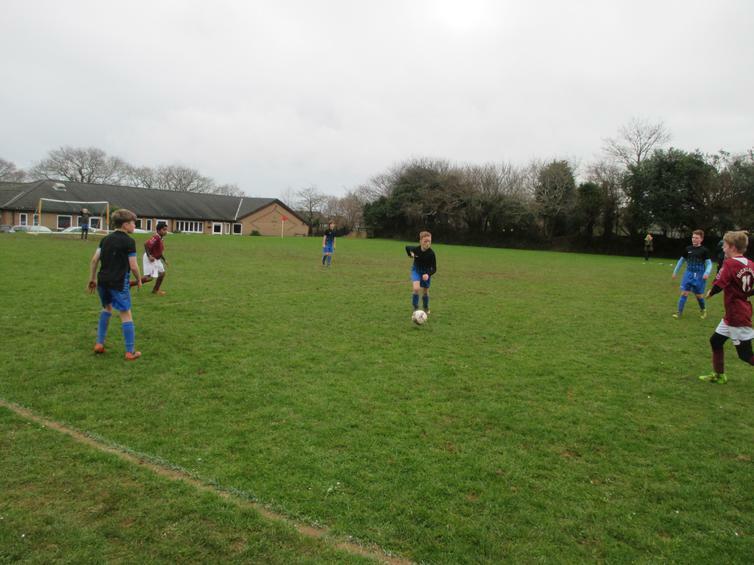 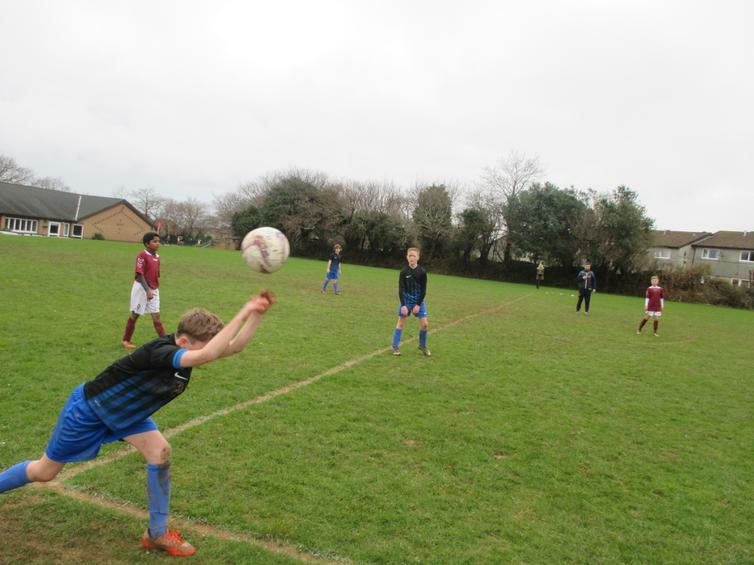 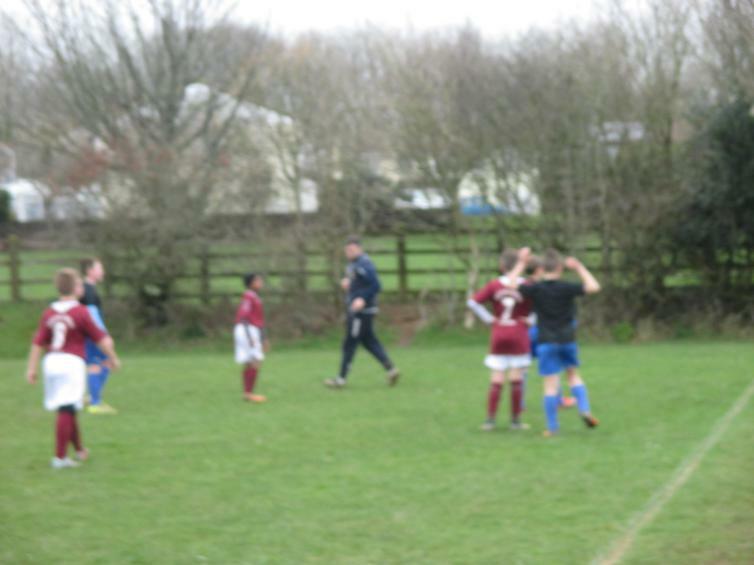 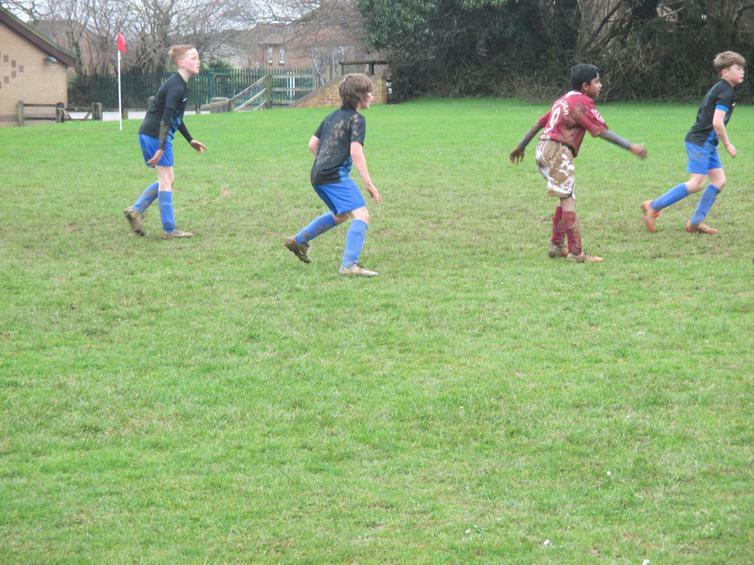 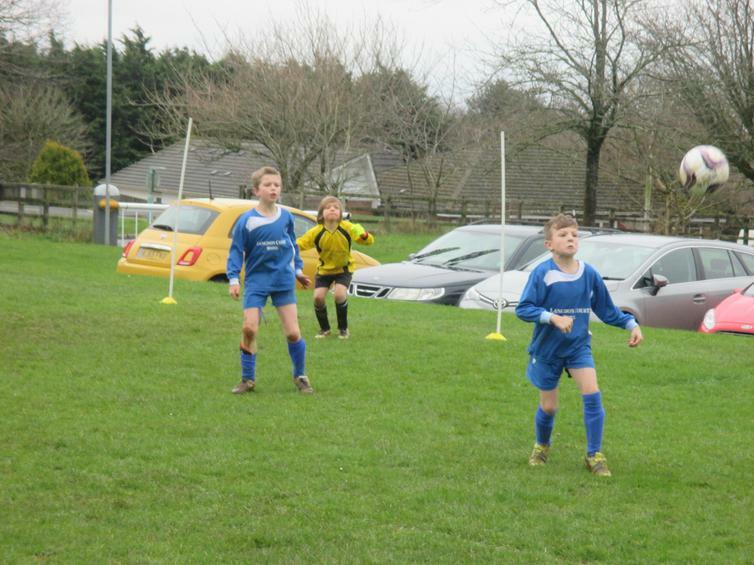 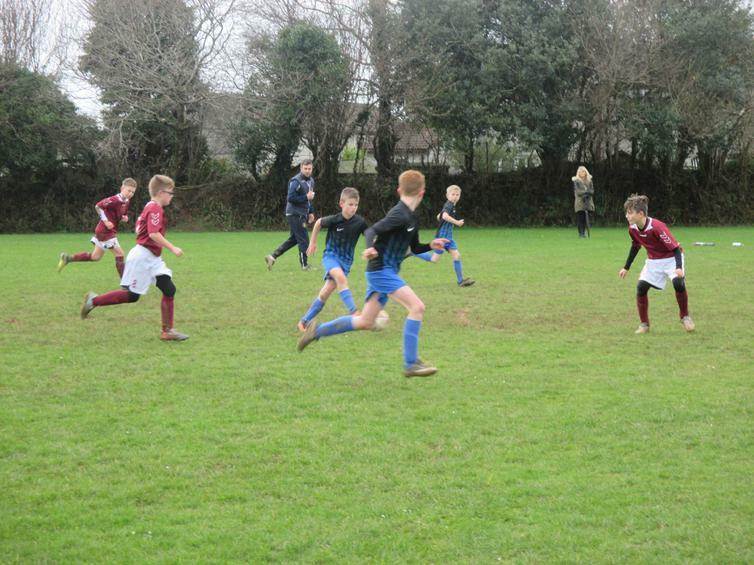 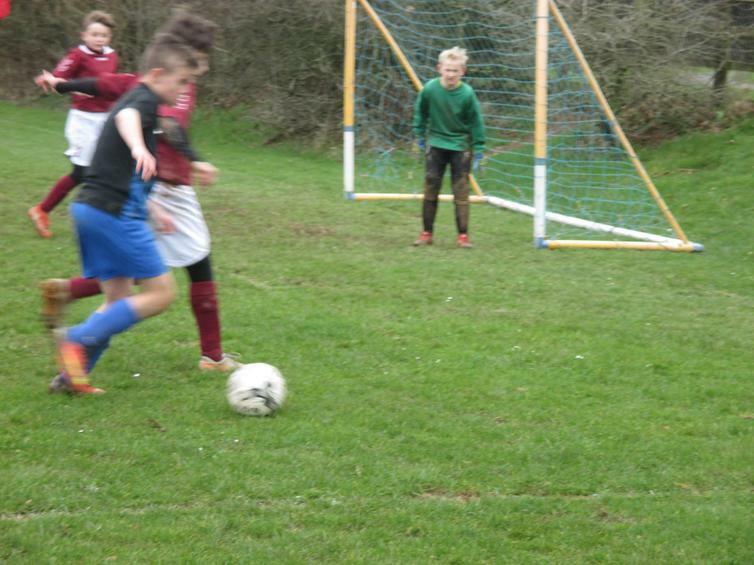 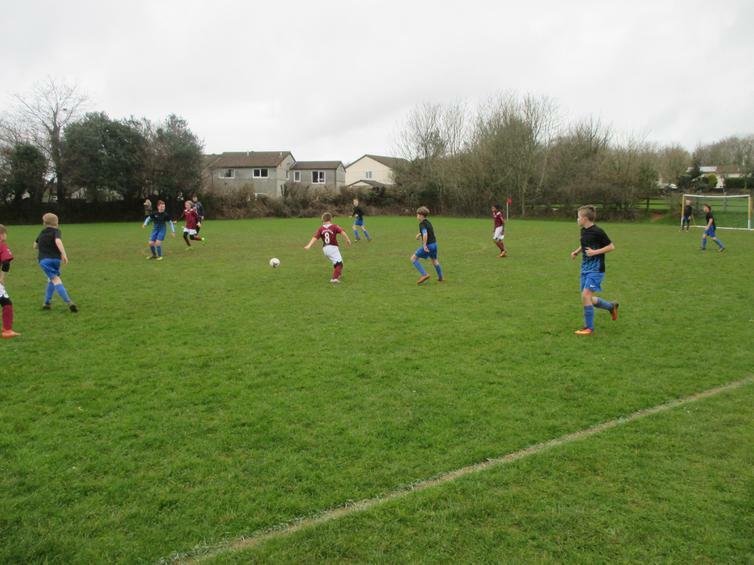 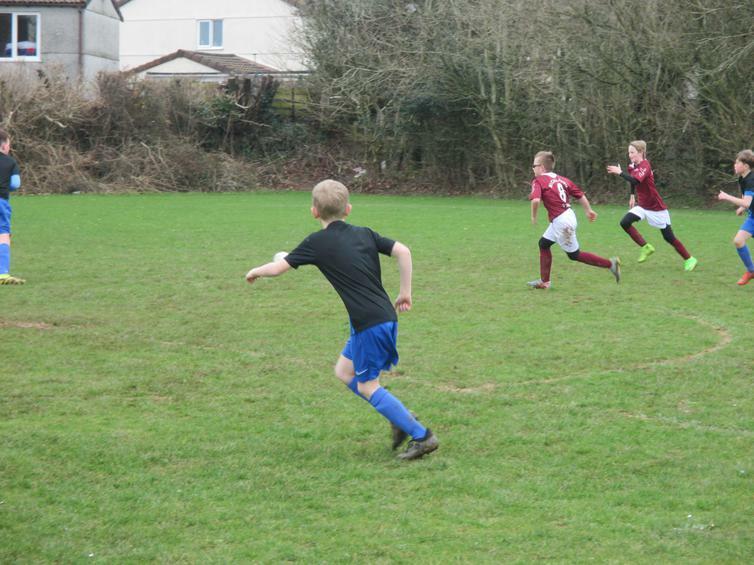 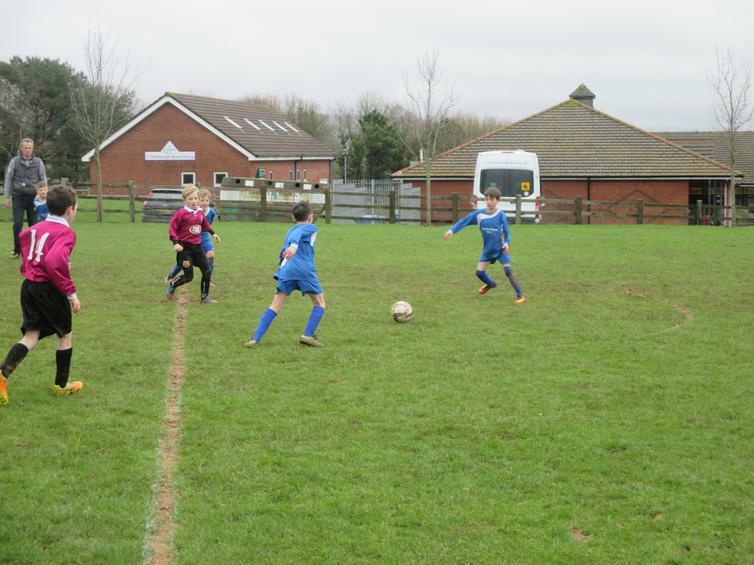 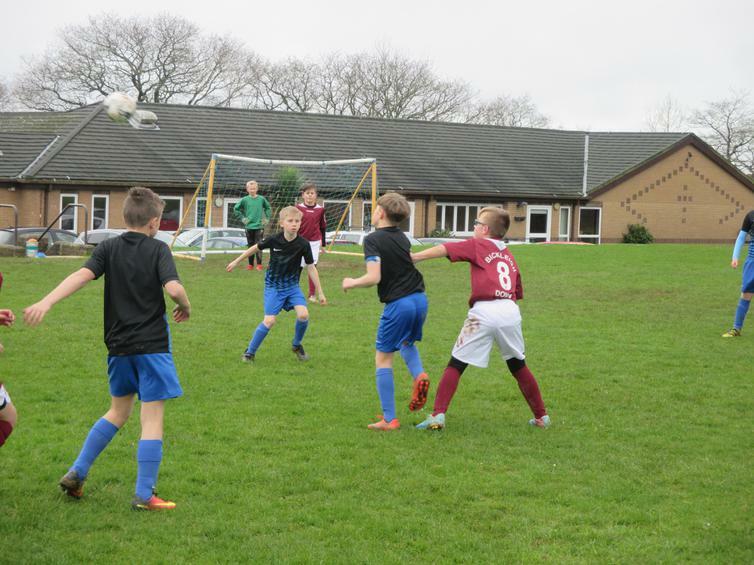 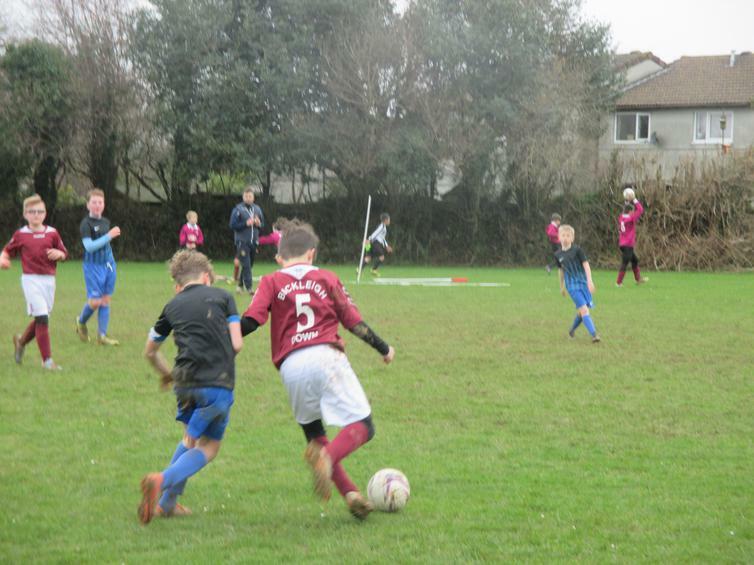 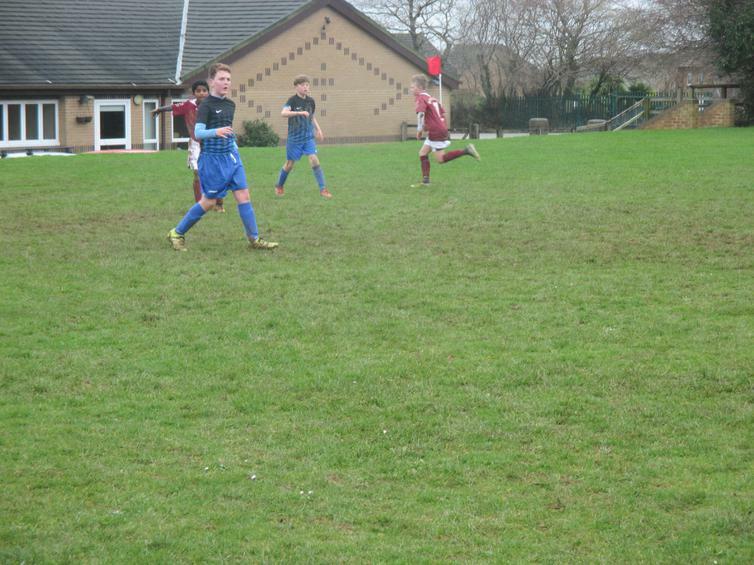 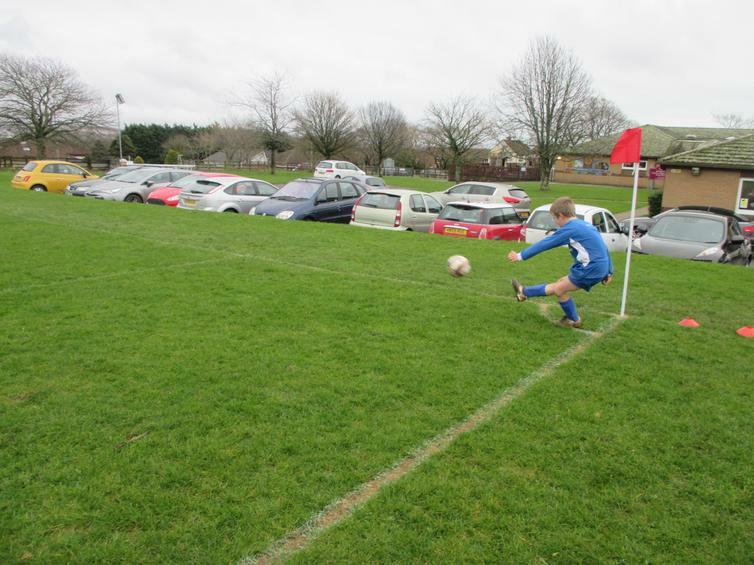 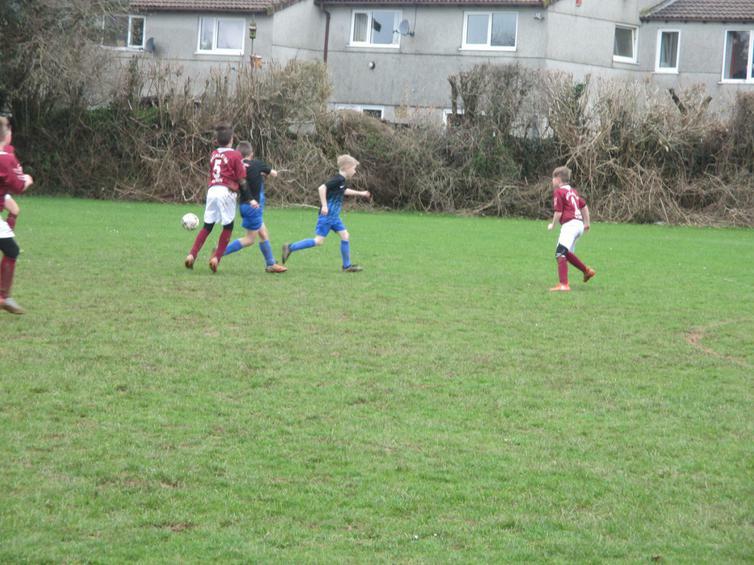 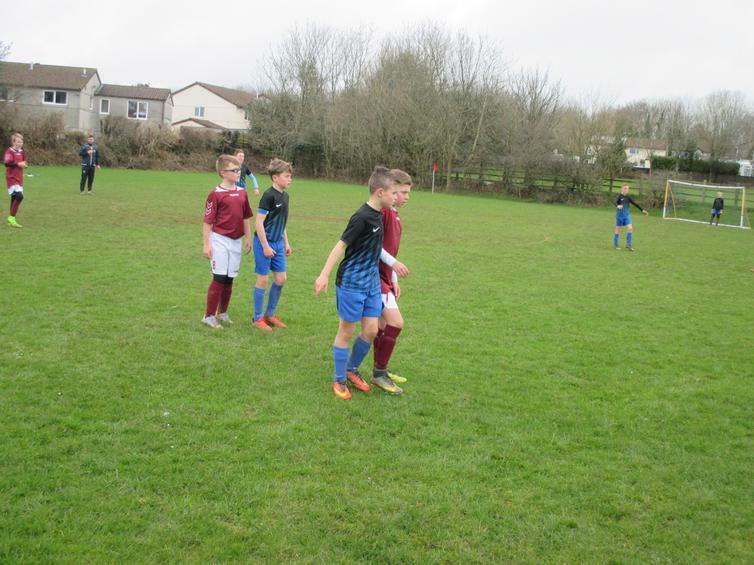 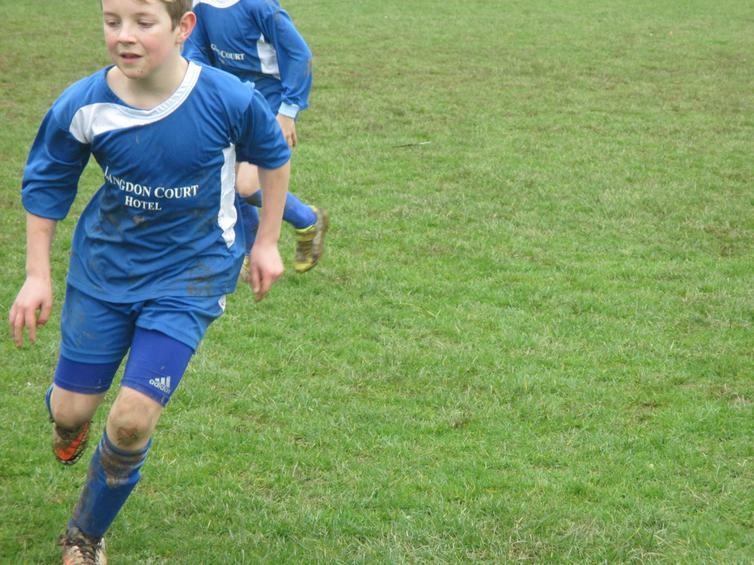 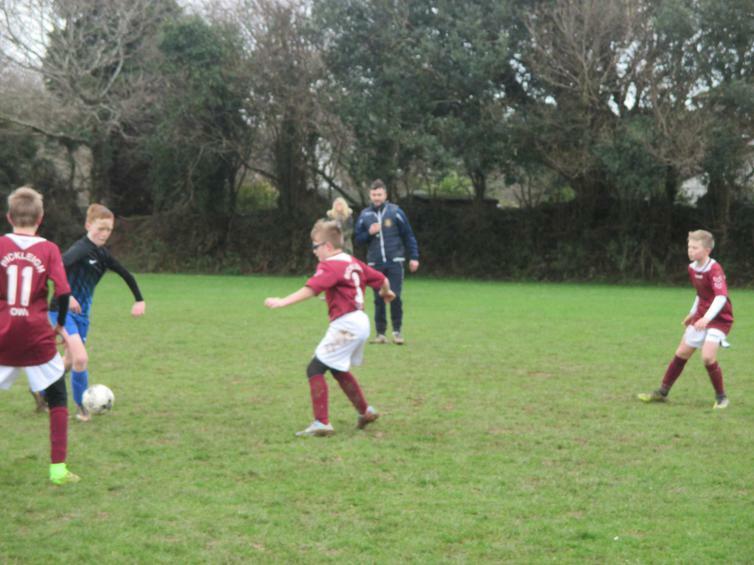 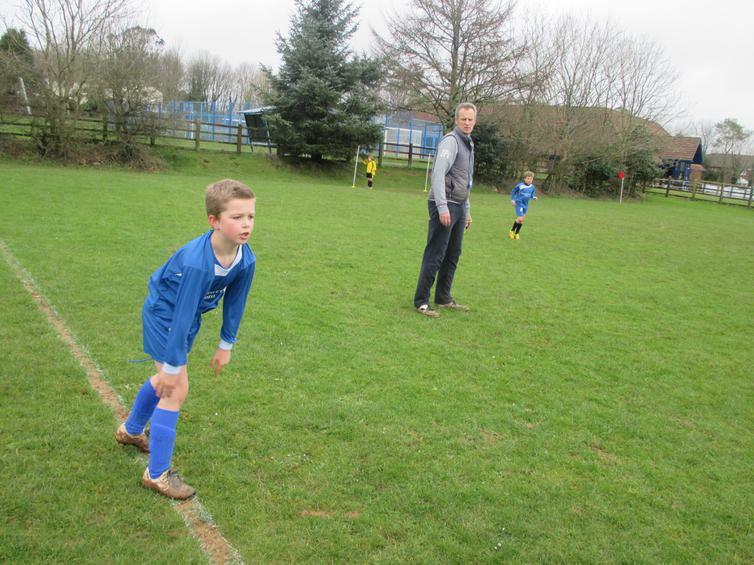 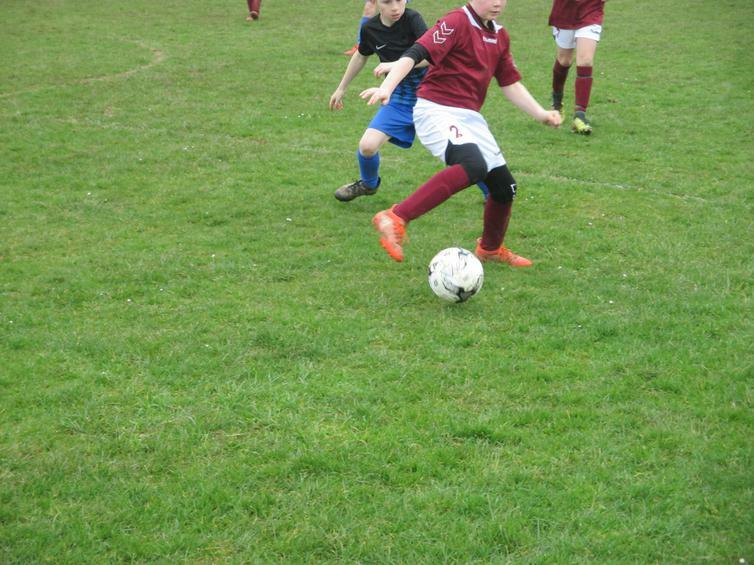 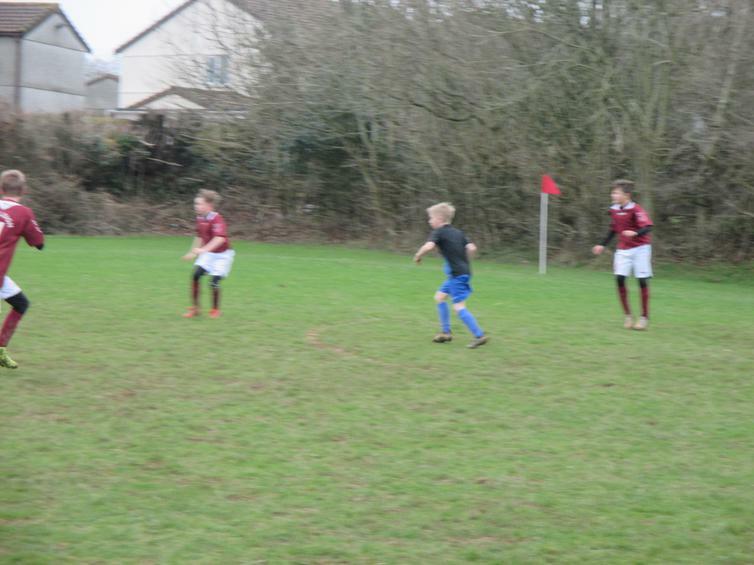 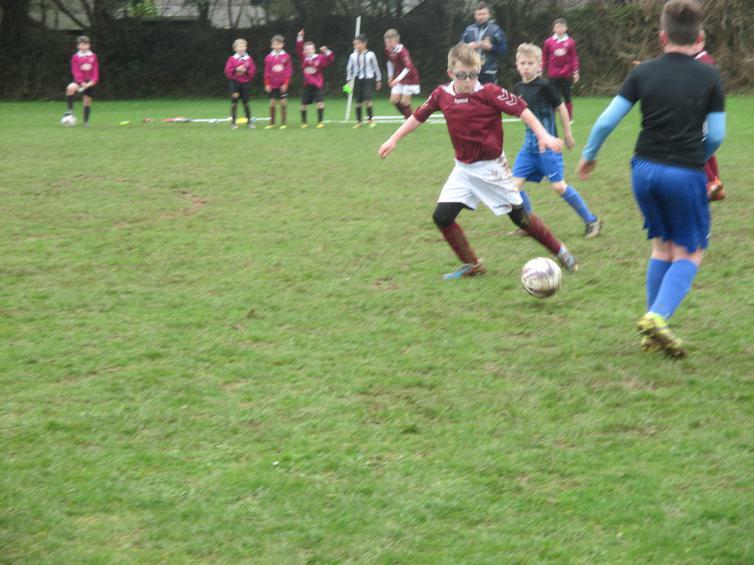 The tidy appearance didn't last for long though as the pitches were incredibly muddy due to the heavy rain the previous day but a bit of mud never hurt anyone and certainly did nothing to discourage our footballers. 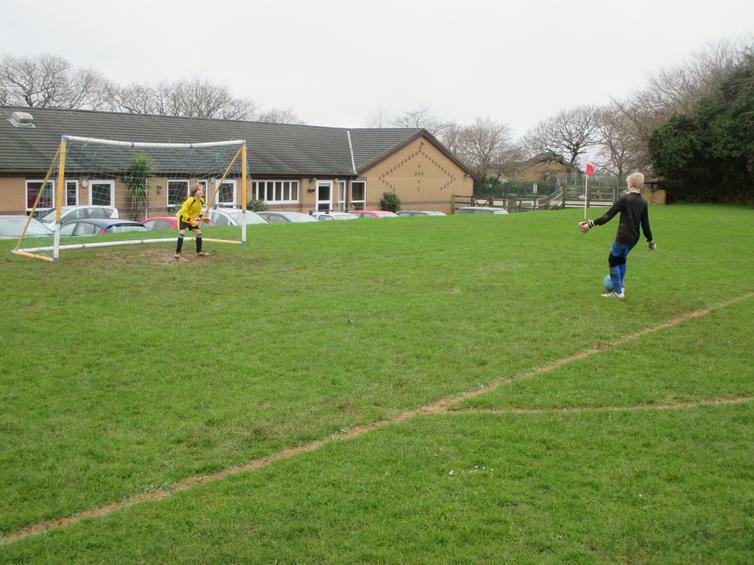 Our star goal keeper Bram took it upon himself to pass on some tips to our new keepers Rowan and Ashley showing a dedication to sharing his knowledge and skills with our younger players. 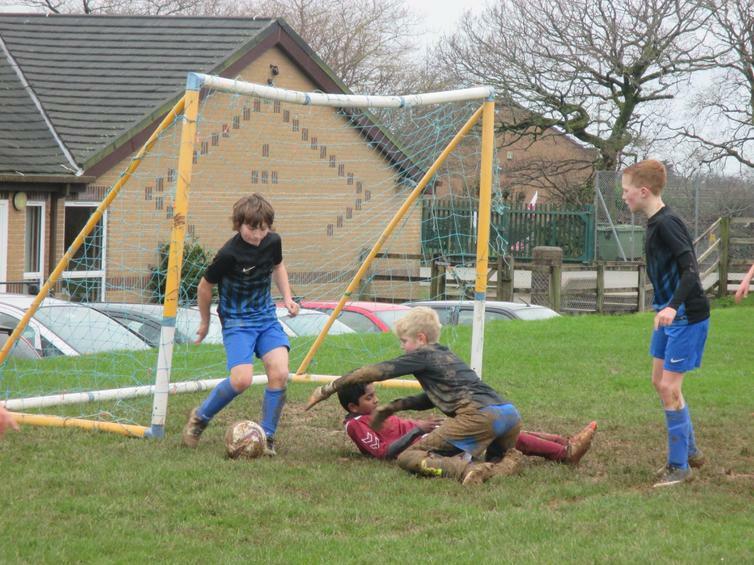 As the games progressed it got muddier and muddier but all the boys dug deep, some great skills and determination from team 1 meant the game ended in a 3 -3 draw thanks to our Hatrick Harvey the scorer of the day! 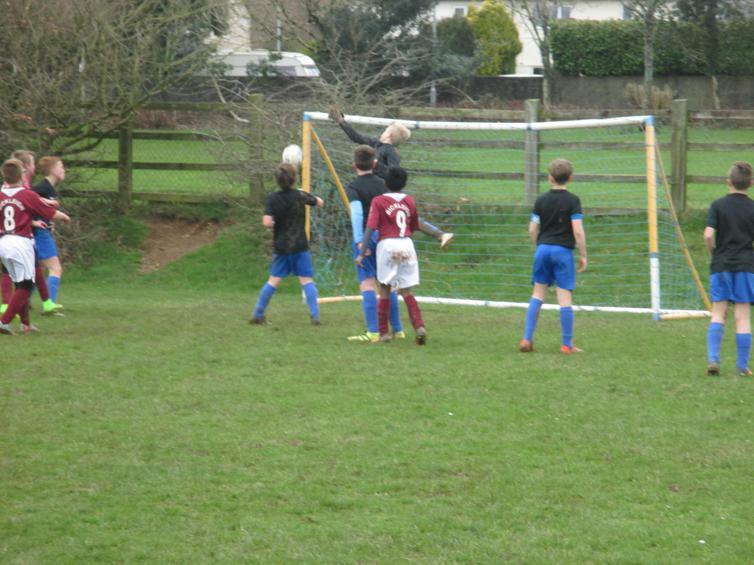 Some great teamwork boys and as ever some amazing saves from safe hands Bram. 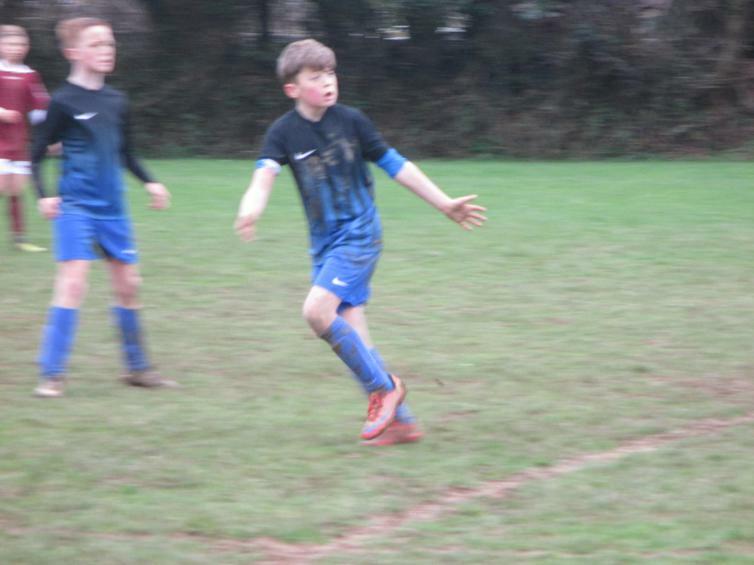 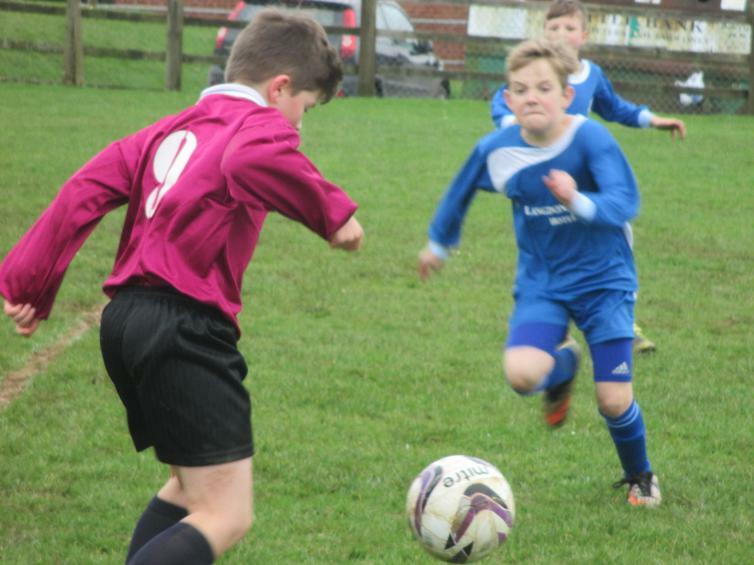 Team 2 ended in a win to Bickleigh but some very impressive play for the first time these have played as a team in some tough conditions. 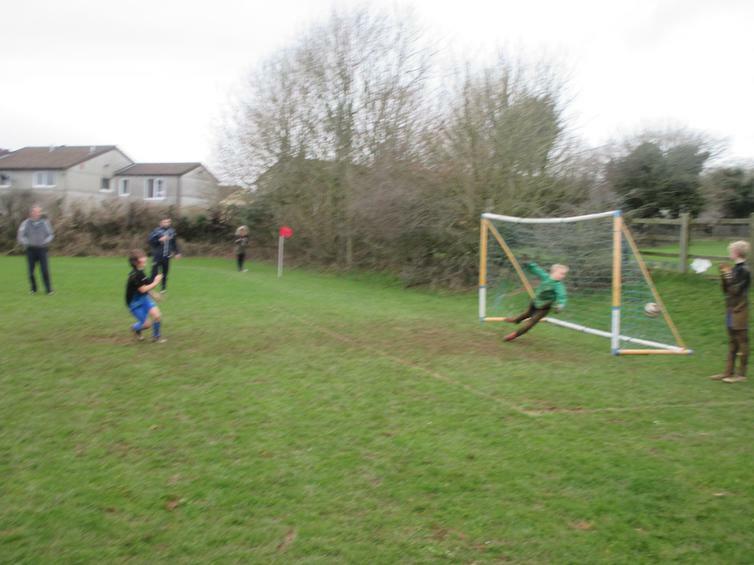 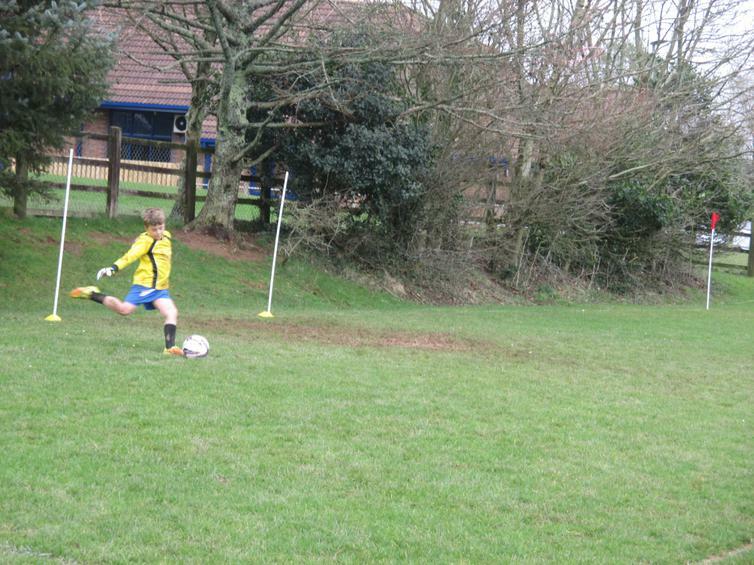 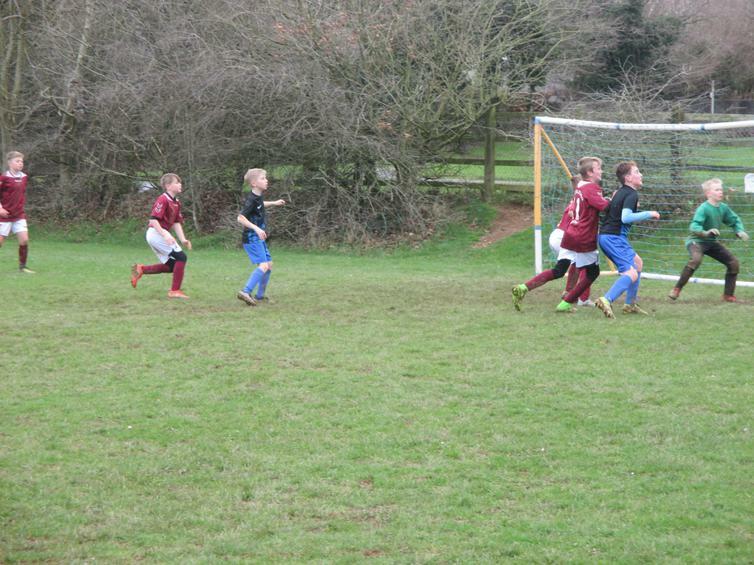 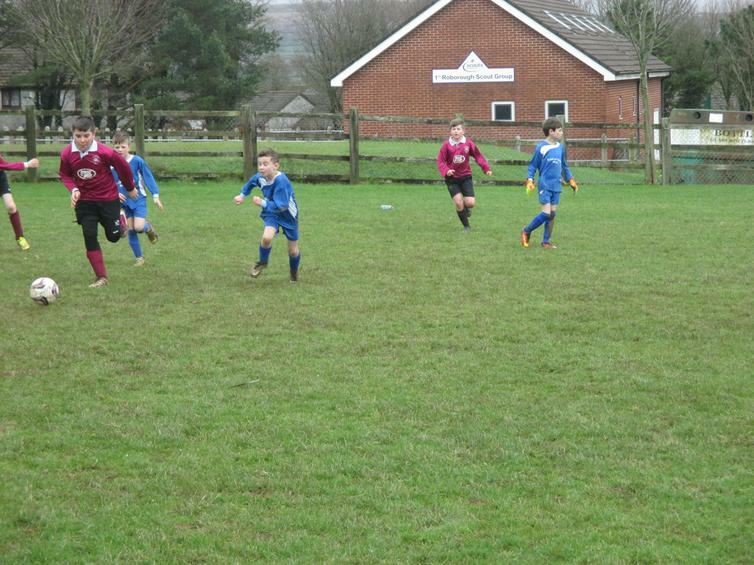 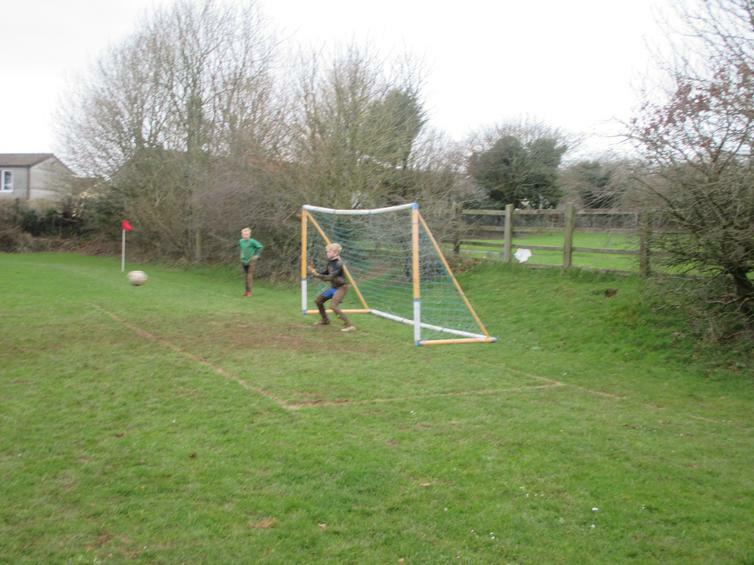 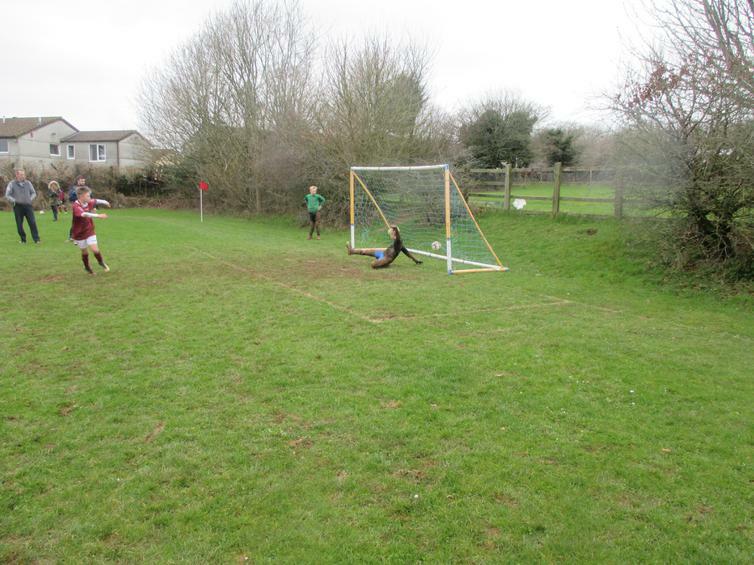 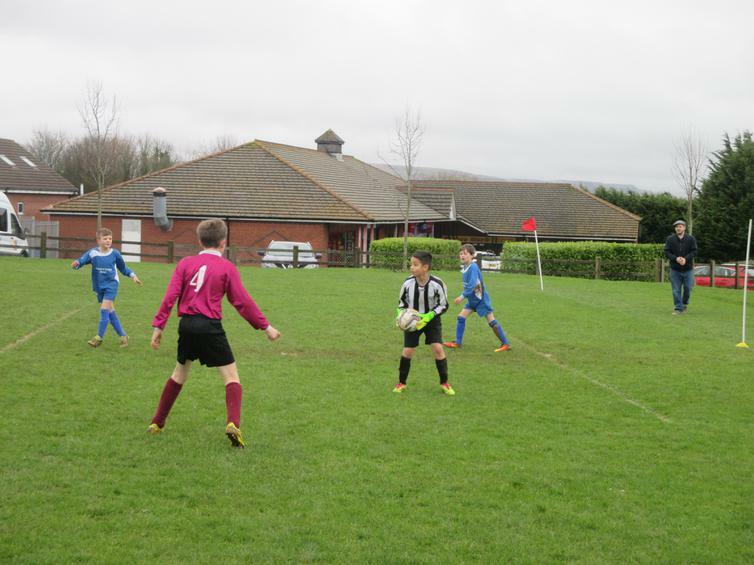 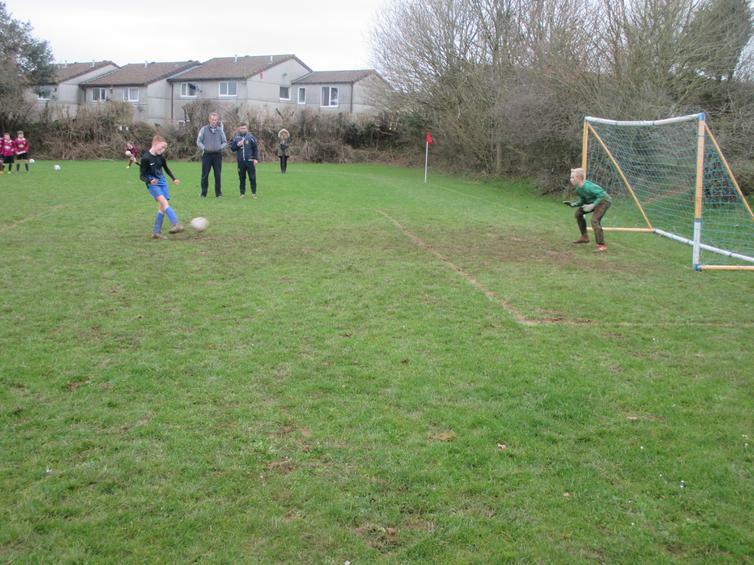 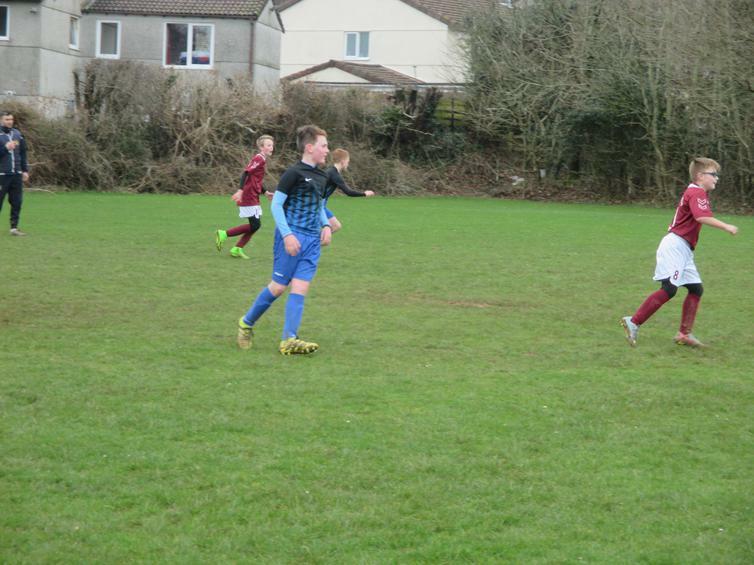 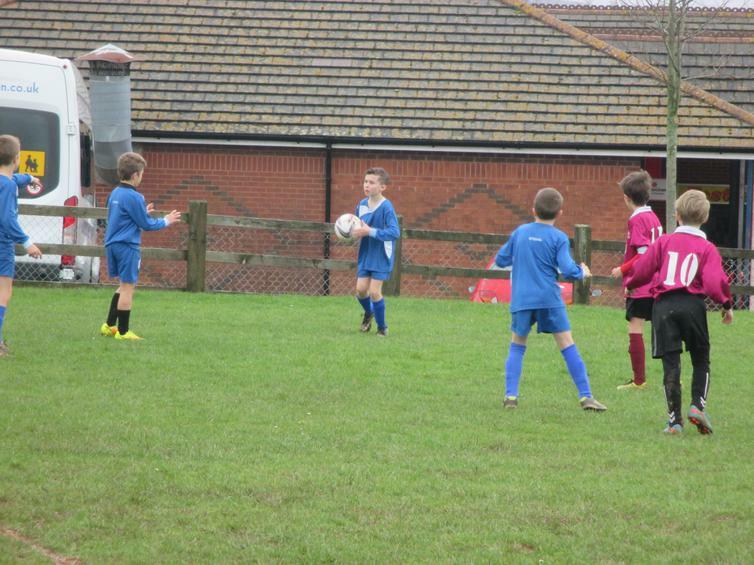 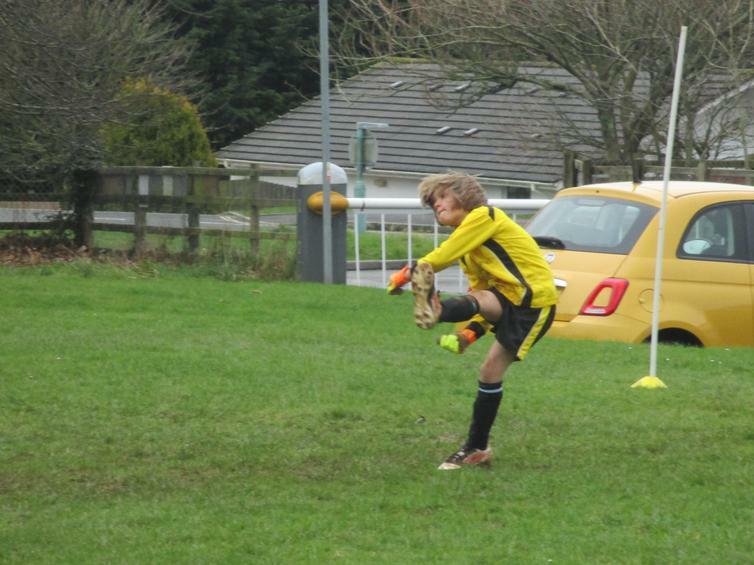 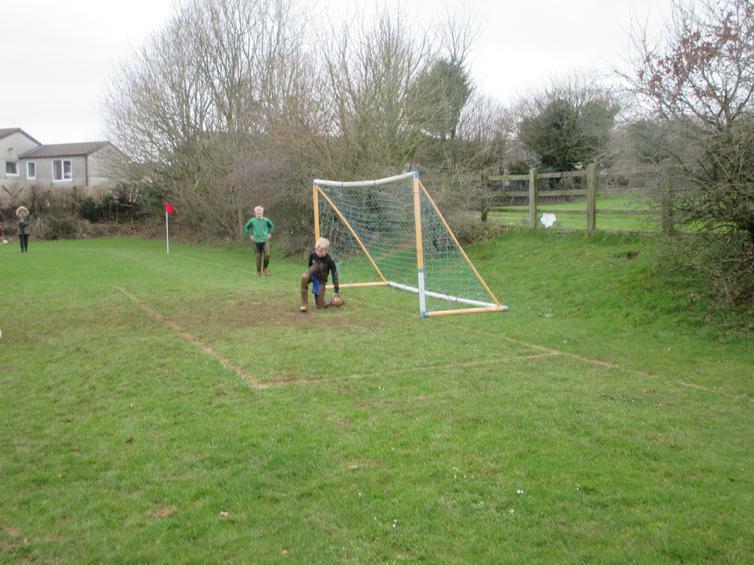 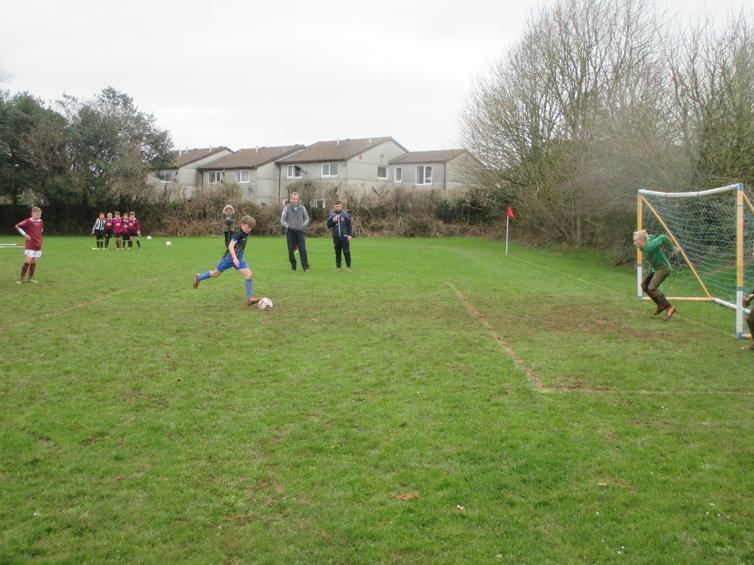 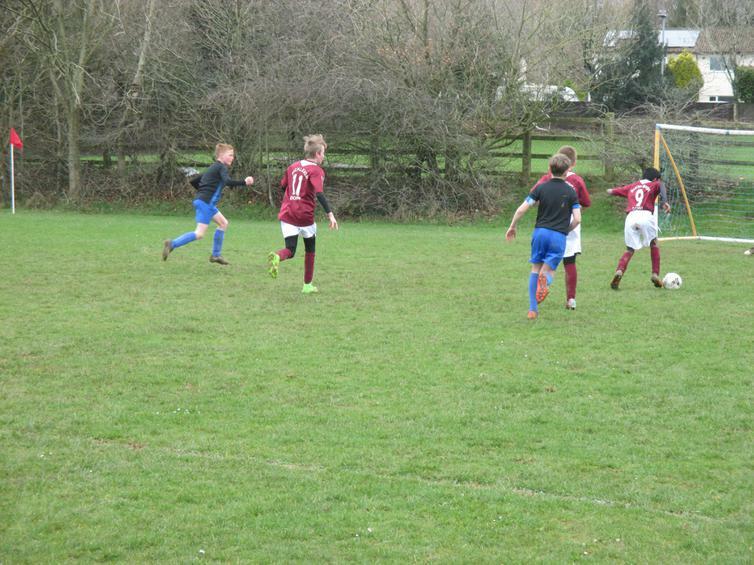 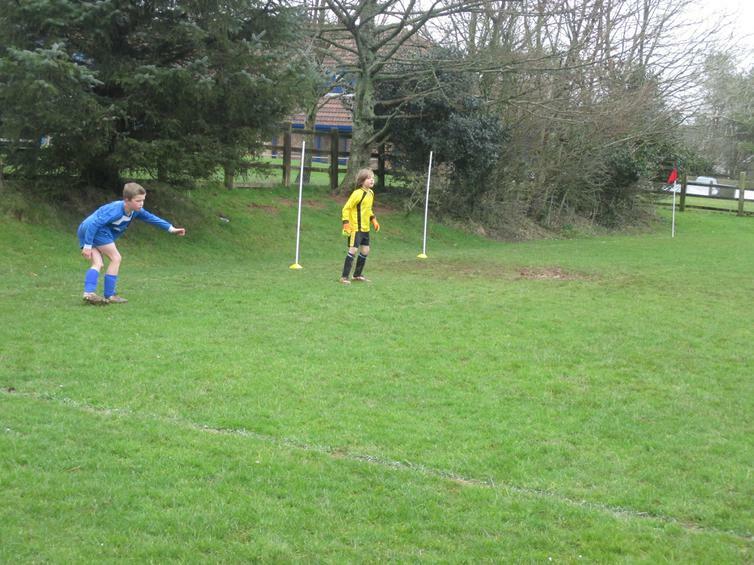 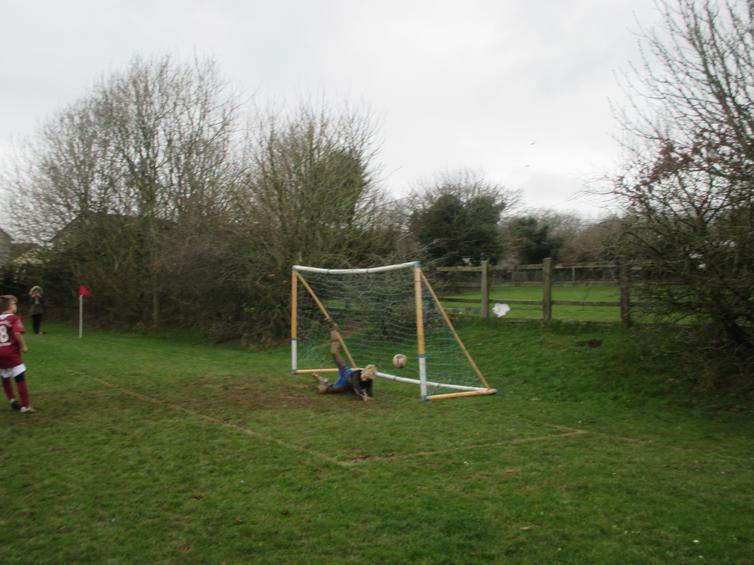 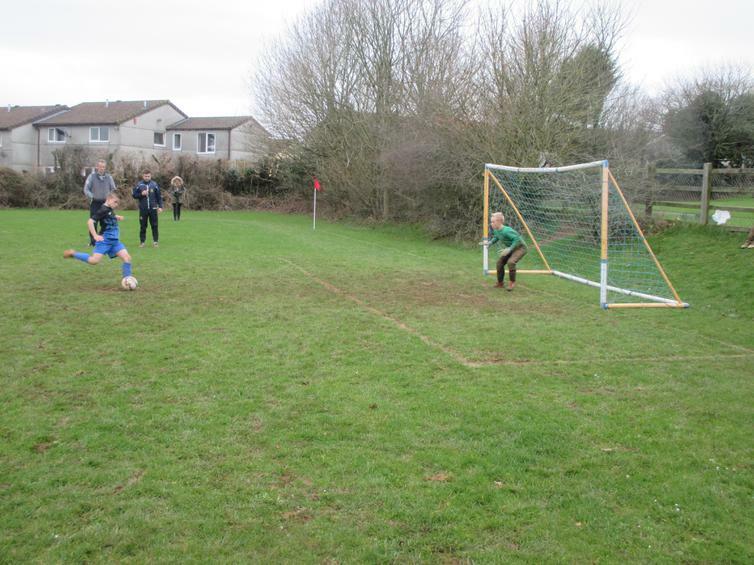 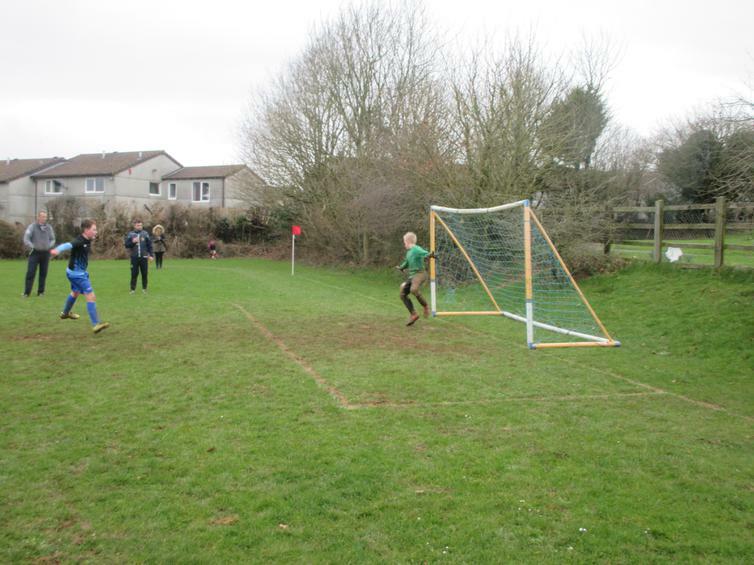 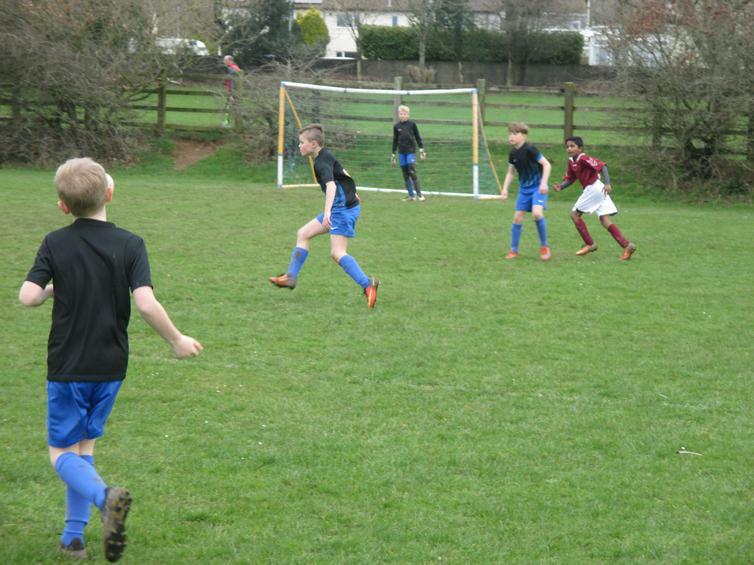 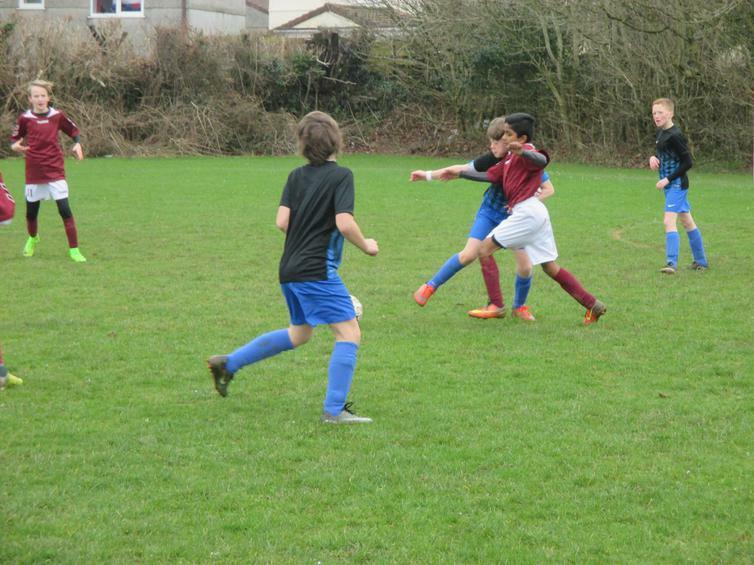 Some super saves made from our brand new to the game keeper Rowan and some really good team work shown. 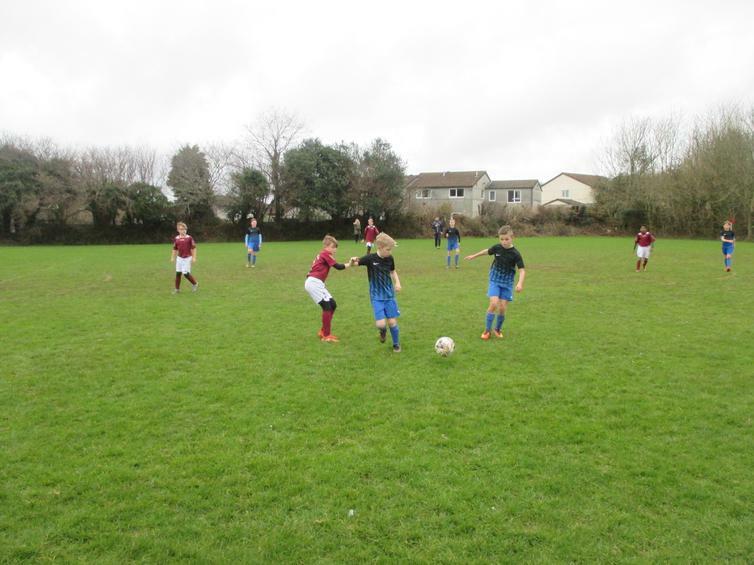 Man of the match in team 2 went to Jack for his tireless persuit of the ball and really good communication with his team mates and a joint man of the match in team 1 went to Rafa and Harvey for their consistant runs and persistance during the game. 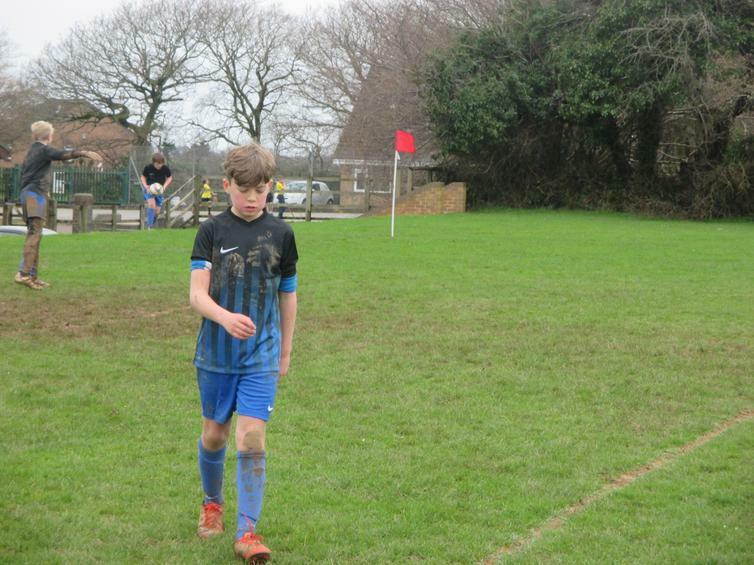 Another fabulous show of skill from all the players on all 4 teams proving again that it's not just the winning that matters it truly is the taking part that counts.